A rug retailer may know what the rug is made of and certainly should be able to calculate how many square feet you need for a room. However, a rug professional knows everything about that rug and its place in your home. What is it made of? How was it made and by whom? Will it wear under heavy traffic? Can pets ruin it or light fade it? Is the style timeless and versatile? That’s the difference between shopping in furniture or department stores and professional rug dealers. It’s not what they do – it’s what we do – and we do it to ensure what you buy from us is what you will love. The absolute best approach is to purchase the rug first – think of designing from the bottom up. A rug is a foundation. We understand for many homes the room is already complete. Maybe it is time for a new rug, or perhaps, the design is complete and the last step is the rug. Size and Layout of Room – Take a picture (or four!). Measure and draw the room on a piece of paper including; walls, windows, furniture location (desired or existing) and fixed attributes (such as a fire place or built-in wall units). Type of Room – Is the room used occasionally (for example formal dining or a guest room), or is it a part of your home’s everyday life, such as a family room or kitchen? What is the Lighting – How much sunlight does the room receive? Furniture – What pieces are in the room (or do you wish in the room)? The main detail is of course, size. Size truly does matter. Although the room size plays an important role in determining rug size, it’s not the most important. We want to get a feel for the spatial effects a particular room portrays. Are the ceilings high? Are there any clipped corners or fireplaces? Do you use part of the room as a makeshift “hallway”? Are there multiple areas within the given space? Although these seem to be rudimentary questions, things like these will give us a factor in determining size. This is where we want to explore your lifestyle. Certain rooms in a home portray a certain atmosphere that can be formal, casual, or even serene. We want to know how you feel when in that particular room. Is it casual, such as a family room or den? How about formal, such as a dining room? Believe it or not, these ideas can enable us to hone in on a type of rug that would be suitable for the situation at hand. Certain rugs can portray certain elements that enhance the room and its intended purpose. Lighting is one factor that is overlooked all too often. Shopping for a rug in one of our showrooms portrays the rug in a different light that is available in your home. No matter how hard we try, Kaoud Rugs cannot duplicate the lighting in your home. Believe us; we have done our share of experimentation. Lighting in a room can determine just how much “color” a room can take. If there is an abundance of light, a rug with muted colors can easily be “lost”. Furniture is a huge role-player in the choosing of a rug. If you are working with furniture that will be staying awhile, color swatches or pillows are important items that can establish a reference for the room. Today’s rugs have an abundance of colors and complimenting your color scheme have never been easier. If the room is bare, or you’re starting from scratch, our advice is to start with the rug, FIRST. Because of the colorful nature of rugs, picking the rug first enables you to set the “foundation” to the room, that will make picking other colors such as fabrics or paints an easy task. It’s a lot easier to change a paint color than it is to replace a rug you truly love and had your heart set on. Here at Kaoud, we want you to be happy with your rug selection. We offer our design expertise to help you choose a rug that will capture your heart forever. We guide you in the process, rather than tell you what you should have to fit the room. We want you to choose the rug. Here’s where everything comes together. 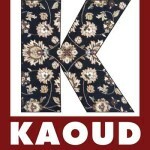 The staff at Kaoud will bring your selections to your home and show them right in the room in question. This will enable you to see exactly what the true beauty of an oriental rug can do for your home. We can bring one rug or ten rugs; we will gladly show them to you in your home for your satisfaction.